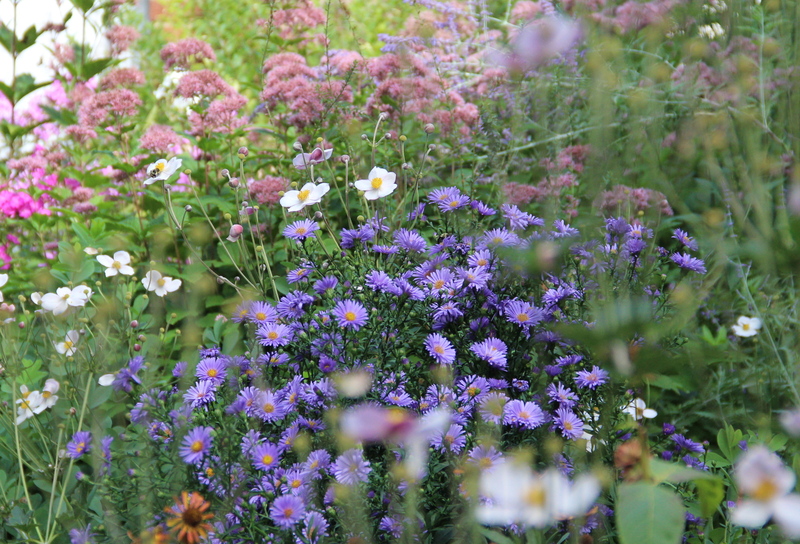 Asters novi-belgii with spotted Joe-Pye weed and Japanese anemones. White-faced meadowhawk dragonflies patrol the garden for mosquitoes and other small, soft-bodied insects. Many years these dragonflies are active in our garden until mid-October. A white-faced meadowhawk dragonfly (Sympetrum obtrusum). 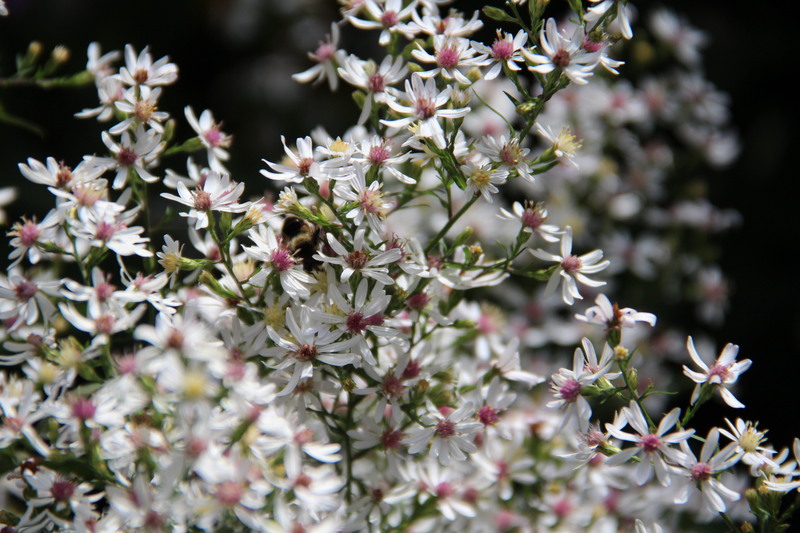 Heath asters (Symphyotrichum ericoides) are native to the eastern and midwestern United States and Canada. Grass funnel spiders (Agelenopsis) are shy spiders that build flat webs with a funnel or tube at the back of the web. The spider rests out of sight in the funnel. When an insect lands on the web, the spider quickly captures it, bites it and wraps it in silk. 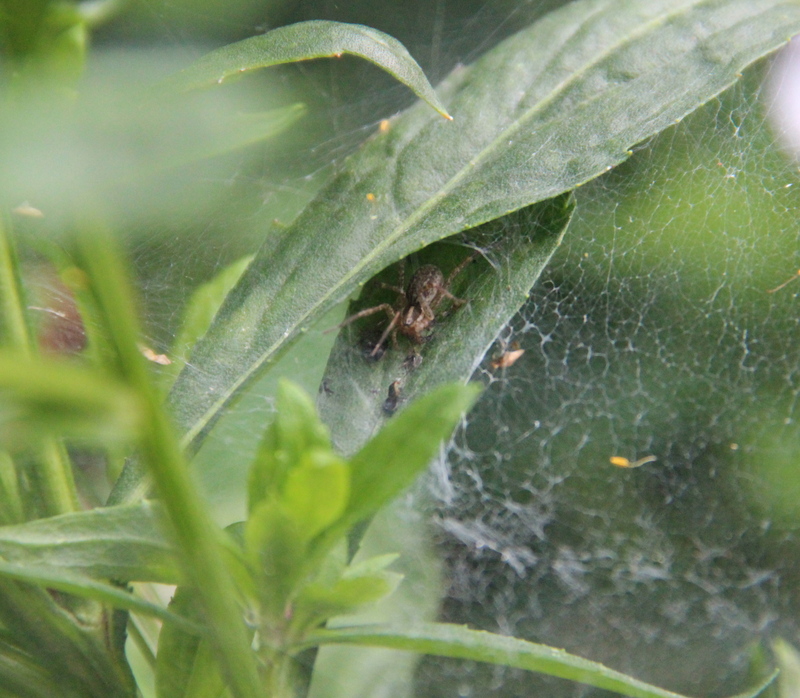 A funnel spider spun its web among the helenium plants. 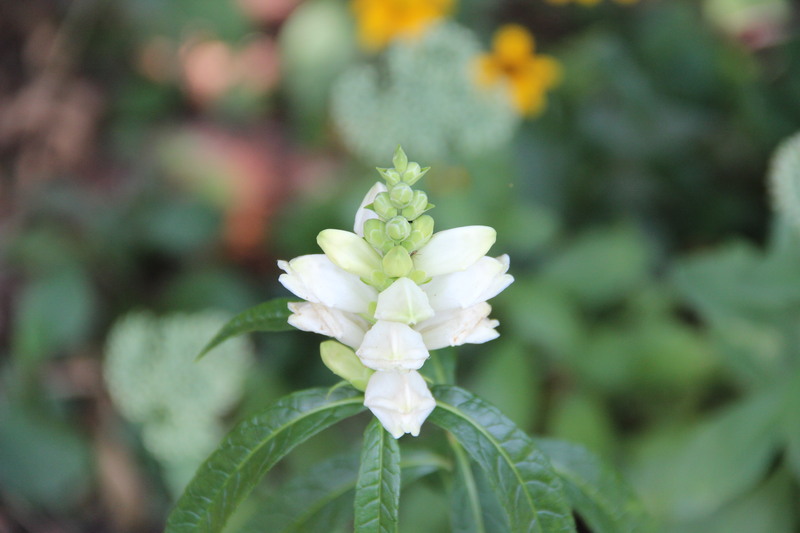 After many days without monarchs, a straggler sipped nectar from several different flower species. 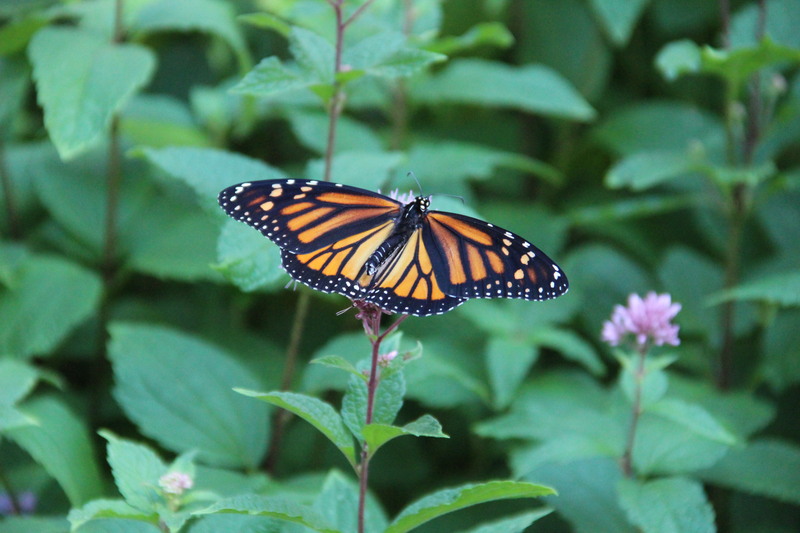 A monarch sips nectar from a spotted Joe-Pye weed plant. 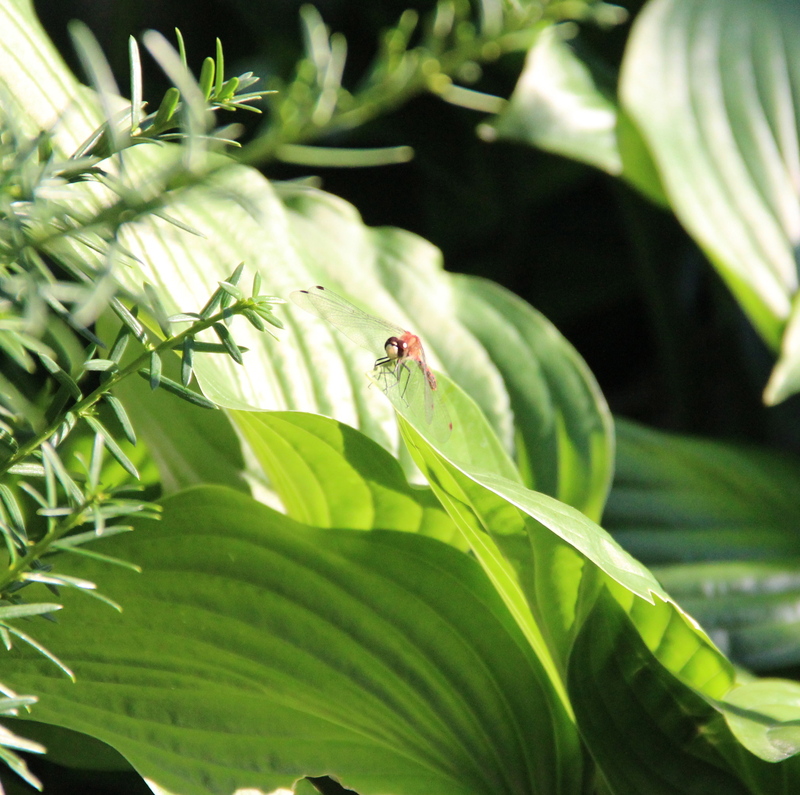 This entry was posted in Backyard Nature, Garden, Insects, Nature Photography, Saint Paul, MN and tagged Backyard Nature, funnel spider, garden, insects, white-faced meadowhawk. Bookmark the permalink. Thanks for reading it; I’m glad that you two enjoy it!